Whether you have a minor leak or your roof is simply old and worn out, A Best Gutters is ready to help you with the repairs. New roofing is something you will probably need to consider at some point. Choosing new roofing can be a difficult task, but most homeowners simply choose the roof style and color while leaving the brand and quality up to a roof contractor. Traditional types of roofs include shingles, shake, ceramic tile, and composite, but there are many more types today. New roofing materials are tested for fire resistance and flame spread and should always be covered by a manufacture’s warranty. Finding the right roof contractor is very important, to assure that your home is waterproof, insulated, airtight, and that the proper choices have been made for your sun exposure and climate. It’s very easy to neglect your gutters during a roof install, but this is a huge mistake. After all, it’s the gutters that are going to be responsible for keeping your new roof clear of water and debris. Install gutters that are of lower quality and you could quickly find yourself needing to hire more roofing contractors to replace them – or even repair damage done to the entire roof! You insurance company won’t be too happy with the claims that you submit for water damage. A Best Gutters is a reliable gutter installer and repair contractor on both commercial and residential properties in Connecticut, and we’ll make sure that your gutters are designed for your needs. A Best Gutters is a leading gutters installer in the Connecticut area. We offer residential and commercial gutter installation and repair services on all forms of properties. We have been installing rain gutters in Connecticut for over two and half decades. 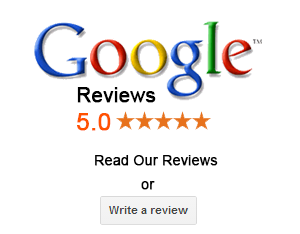 Our installers offer quality work and superb customer service. We install 5 and 6 inch gutter, standard or half round. We will help you determine the optimal gutter size for your home. Traditional gutters clog with leaves, debris, damaging your roof, foundation, fascia and landscaping. Cleaning out gutters is also dangerous. Why risk a serious fall? A Best Gutters offers a great solution to common gutter problems – “Leaf Relief”. With leaf relief protection your gutters will not clog. No more dangerous and dirty job of climbing ladders to clean out your gutters. With your gutters running free and clear, you won’t have to worry about water damage to your home. Attractive and durable, leaf relief gutter protect are a lifetime solution to your gutter problems and they really work. Leaky Gutters – With leaking gutters, water is no longer being effectively drained away from the foundations of your home. Gutters might be leaky because they were improperly designed or installed, have become worn or warped, or clogged with debris or ice. Clogged Gutters – The most common reasons for clogged gutters are the leaves and debris that will eventually fill in gutters. Sludge builds up and attacks metal coating. There is also an increased chance of that debris catching fire. Poor Appearance – Have you older gutters become an eyesore? Gutters might be unsightly because the metal has warped or the coating has faded or become chalky and gritty. An A Best Gutter estimator will set up a time to come to your home to measure and go over your options with you. This is a good time to ask for a sample of the proposed gutter so you can see the exact quality of the material you are getting. The run length and run height will be determined. Additional charges will be calculated in for replacing rotten fascia boards, building-out fascia, adding extras like drip-edge extensions or custom color choices. There are five factors in selecting a gutter: material, profile, size, production, and coating. The specific combination often depends on whether you’re replacing the gutters on an existing home, or specifying new rain gutters for a custom home. Choosing a roofing contractor for your commercial roofing project is very important. You need to make sure to choose the company that can handle big projects as well as the small ones. A Best Gutters has the skills and staff to support commercial roof replacement or repair. With years of experience, A Best Gutters is the right company to handle your roofing repairs and replacements. A Best Gutters is a professional, Connecticut roofing contractor specializing in roof repair and roof replacement. We promise our commercial clients to bring enough people to finish the job as quickly as possible. We are fully insured for commercial work. We offer a variety of roofing systems from rubber, to metal — from flat to pitch roofs. We are well equipped to provide high production with high quality standards. 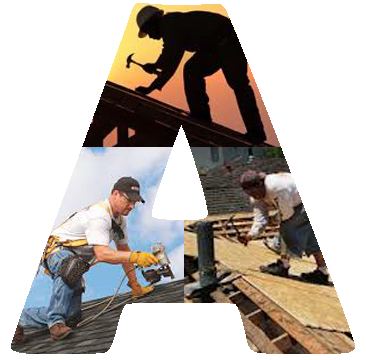 We employ its own personnel to ensure a Quality Roof System Installation. ← Beating the HEAT with a new roof.